What is ScuffGate? 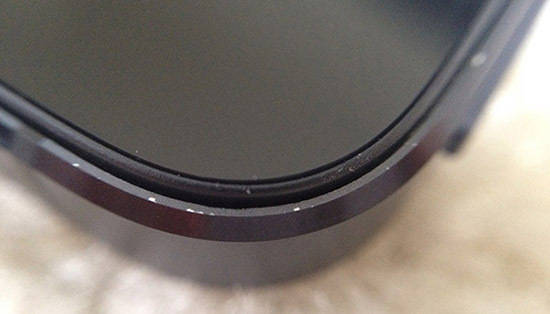 Some owners of the Apple iPhone 5 have reported scuffs or nicks along the edge of their phones. These have been seen on brand new phones as they were removed from the box. Additionally, there has been concern about the long-term durability of the iPhone 5’s aluminum finish when compared to the iPhone 4 and 4S. “ScuffGate” is a term used to label to this problem, much as “AntennaGate” applied to the antenna problems with the iPhone 4 when held a certain way. Both terms were derived from the name “Watergate,” referring to the political scandal of the 1970’s. While the scuffs being reported are not actually a “scandal” as Watergate was, they’ve caused iPhone 5 owners to express concern on forums and social media. Some owners have chosen to exchange their phone for another one which is free of defects. A number of people who purchased a black iPhone 5 chose to switch to a white iPhone after discovering this issue. At ScuffGate.net, we’re owners of Apple products who wish to inform others of this potential problem, how to exchange or repair a damaged phone, and how to protect against it.